The Insurance industry has been plagued since long with a big churn in sales force. Life Insurance, being a “push” product as compared to General or Health Insurance, is often a “need” and often regulated and warranted by government or corporate compliance. A large part of the sales force are sets of independent or agency advisors who are often revolving through the door rather quickly. Challenge for the Sales Manager is to on-board, train and effectively employ this transitory workforce. Through Digital Transformation projects, Insurance players have made huge strides in automating their on-boarding, training and sales processes by making them available via the web and now mobile interfaces. However, the problems faced by sales force remain as products get more sophisticated and so does the end-user who is now much more educated and aware than ever. A huge opportunity lays ahead for Insurance companies that will adopt Artificial Intelligence to lower barrier of entry for their churning workforce. Business Insider estimates that building customer and agent chatbots could save the industry $12 billion dollars in labor costs. While there are many use-cases for AI technology across Insurance and Financial Services sector, one of the leading technology project with high ROI is the use of Natural Language Processing and Chatbots for reducing the cost of training and mentoring a transitional workforce. What if for every agent, we could provide them their own personal assistant that can guide them through all touch points in their interaction with the company and their clients? What would that do to agent experience? Insurers are eager to adopt Chatbots and AI technology in the coming years with a recent Tata Consultancy Services report estimating an average spend by insurers of $ 90 million dollars on AI by 2020. Conversations are natural to human and the NLP technology has now matured to a point where it is now ready for the Enterprise. How can you get started with Chatbots for your Insurance Enterprise? Our tried and tested methodology to implement chatbot projects is to first prepare a list of FAQs for your constituents. Not sure of these FAQs? Then look through analytics of your web and mobile properties to view the most accessed functions in those reports. Add to this, the list of “abandoned” transactions. Also, scan through the call center logs for the list of FAQs. Sort the collection of FAQs in the order of importance for your top line and bottom line and the pick top 5-6 use-cases to automate via chatbots. While each Insurance Sector has its own nuances, a partial list of FAQs that we assembled for a Life Insurance major is given below. The list above could be a good place to start. 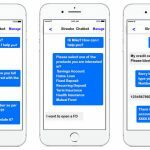 You can pick an ideal Chatbot technology stack to implement these FAQs and measure customer response. Security & Governance – Is the platform secure and does it provide a central governance mechanism for IT to control backend system access? Ease of Conversation Building – How easily can you build and enhance bot conversations. Can the Line of Business participate easily in this exercise? Backend Integration – Your Bot will not be meaningful if it cannot get controlled yet easy access to your legacy systems. How difficult is it to get access to your backend services? Training the Bot – Is there an easy to use interface for training the bot? Can the Bot self-learn, and can business and IT easily collaborate to train the bot? 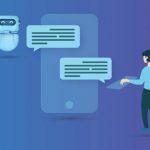 Chat Client Compatibility – Is the Chatbot technology stack compliant with a variety of chat clients available in the market today such as FB Messenger? Can it easily hand over the bot conversation to a live Rep if the Chatbot hits a wall with the ongoing conversation. This is imperative for a good bot experience and adoption of the Chatbot. 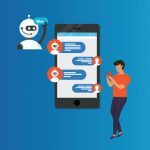 Chatbot Analytics – Can the Line of Business and IT measure the effectiveness of the Bot and view past conversations to improve bot performance? Omni-Channel Platform – Above all, you need to ensure a way to keep all your channels in sync. Provide the same interface and access to information across all channels including web, mobile and now Chatbot. What happens when the LOB requires a change in one of the interfaces? Do you have to then manually update all other channels and keep them in sync? Thinking through the above points will ensure that you have the right technology stack as you embrace this futuristic technology. Just like all other technology initiatives picking the right tools, team and partner is the key to success. Streebo headquartered in Houston, Texas, is a Global software automation company that is focused on Digital Transformation and Data Sciences. Streebo Digital Experience Accelerator (DXA) powered by IBM Digital, Mobile, and Cloud technology is a powerful and secure Digital platform that is the web, mobile and Chatbot ready. Chatbot builder included in Streebo DXA is a low-code, no-code visualizer that allows both IT and LOB to easily create an omni-channel interfaces. 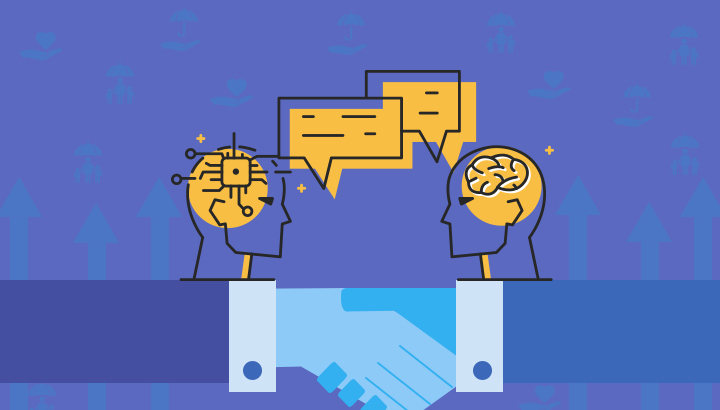 Integrated with a variety of NLP engines included IBM Watson Conversations, Streebo’s Chatbots are designed to self-learn and have easy to use interfaces to train and mentor the Bots. More importantly, the point and click interfaces allow for easy access to back-end systems and processes, thus making it easy for the Chatbot to access in-context information in a secured manner and give meaningful information to the end-user. Finally, any interfaces created in Streebo DXA are readily available across all channels including web, mobile and now Chatbot all driven from a single model of the underlying use-case or transaction. For IT and LOB, this means making and managing change in a single place and it becomes available across channels without going through the manual sync and deployment processes. Sign up for a Free Trial today. Need a list of FAQs implemented and integrated within your environment? Drop us a note and we will help you get started with your first Proof of Concept or Pilot project.